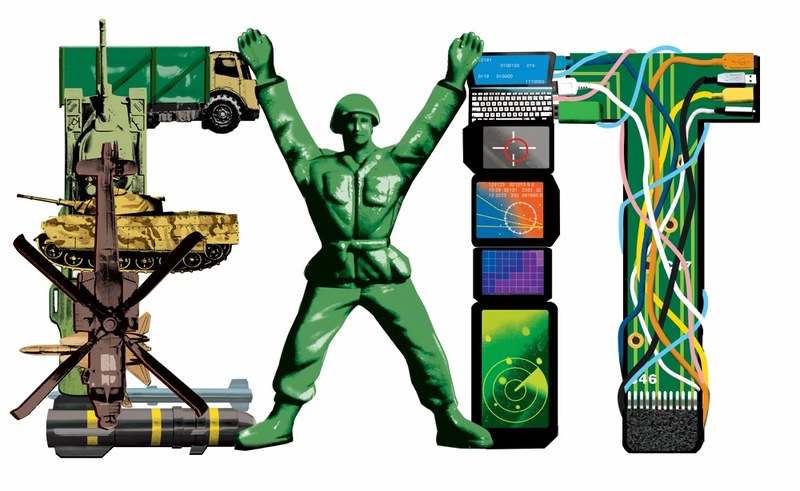 Doug Chayka graphically illustrated the cover type for a Capital Business magazine story, titled "Looking for an Exit," about defense contractors and investors looking for a way out of military projects. Keith Negley: Abolitionist or Terrorist? Sean Tiffany: What’s the Call Right Now? Brian Taylor: Let’s Meet Where? Tina Healey: Time to Fly! James Yang: Wait for Me! Dennis Wunsch: Will Your Deals See Daylight? Carlos Lara: How Did We Let This Happen…? Fian Arroyo: Am I Blue? Brian Taylor: Vote for Me!